I’ve noticed in the past year that hiking has become a huge trend. It’s now a fun activity that friends do for both the physical and adventurous aspect of it. And with so many different places to hike, you’re bound to find a trail you like. 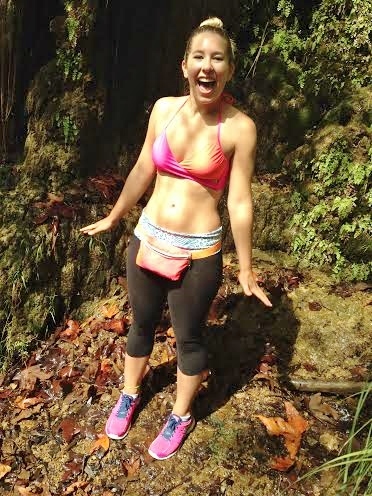 I recently embraced the hiking trend and next on my list was a waterfall hike. We had a lot of friends who had already hiked Escondido Trail in Malibu. I also heard the waterfall was a hit or miss. But since the “storm of the century” had just hit, I crossed my fingers that the waterfalls weren’t dry. Climbing some crazy trees halfway through our hike! Heading out with a group of six friends, we drove an hour up to Malibu to begin our hike. The sprawling, luxurious houses were somewhat intimidating during the first couple of miles. Once we actually got into the valley though, the whole trail became more beautiful. The first waterfall wasn’t really as big as I had imagined it, but it was so darn cute. It reminded me of a little grotto, with water dropping from its extensive moss. There was even a small place to stand at the top once you climbed up. The top of the first waterfall! We got somewhat turned around after the first waterfall since it was all our first time’s on that trail. After literally climbing the side of a small mountain, we were greeted by a barbed wire and “NO TRESPASSING” sign. Unfortunately, that also meant we had to climb down the side without slipping. Luckily we were able to find some fellow hikers who pointed us toward the second waterfall. And it was A W E S O M E.
Climbing the waterfall was definitely the sketchiest part of the hike. Moss was everywhere and everything was slippery. With the help of a long rope and some sturdy tree branches, we climbed to the top and experienced the wonder of the waterfall. The whole hike only took about two hours to finish. It was one roundabout trail so we were hiking back on the same trail we came from. There weren’t many trail markers after the first waterfall so it was pretty hard to know which way you should take to get back. But it was definitely in my top three favorite hikes! Make sure you check the weather before you go to know if the waterfalls will be dry because that was the main best of the hike. 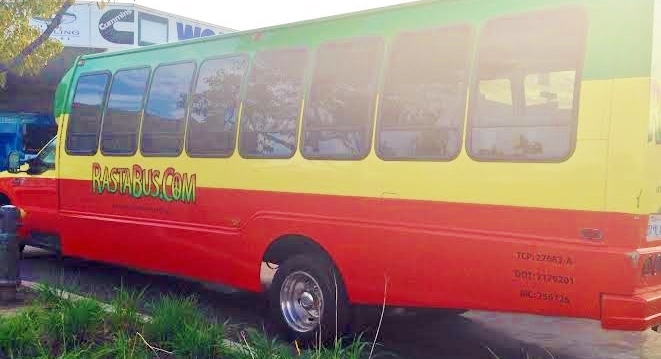 We also saw this snazzy “Rasta Bus” on the way up! I’m not really sure what it is, but it just looked too awesome to NOT take a picture haha enjoy!